Some times hoteliers do not want to open their website just because they feel that it will be very difficult for users to book rooms. But, our qlo makes the booking process easy not only for users but also for admin. Users can book rooms through quick checkout process. 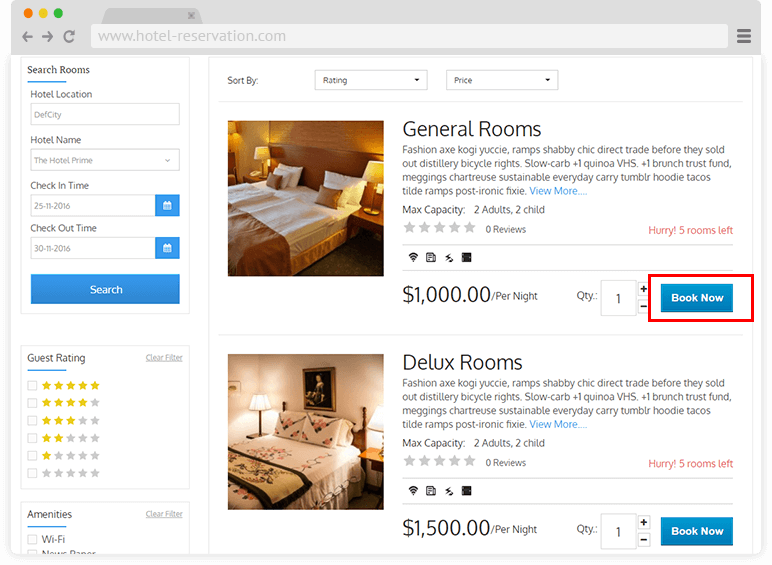 Users do not have to book rooms from different hotels separately, they can easily book rooms from different hotels on different dates in single cart. This make your website user friendly.